Director Wes Anderson’s soundtrack selection in his films is as distinct as his visual style, and now there will be an album paying tribute to those songs from Anderson’s oeuvre. 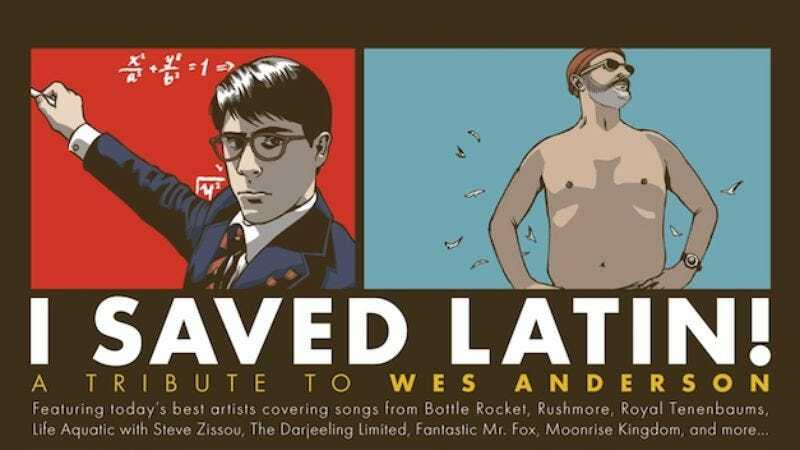 I Saved Latin, a title taken from one of Max Fischer’s retorts in Rushmore, is a two-disc compilation featuring Black Francis, Matt Pond, Mike Watt, Freelance Whales, Telekinesis, and more covering songs by The Rolling Stones, Nick Drake, Elliott Smith, The Zombies, and David Bowie, as heard in Anderson films from Bottle Rocket through Fantastic Mr. Fox. Distributor American Laundromat Records already has six different pre-order packages available, all with various bonus items like a Team Zissou beanie, scout badges from Moonrise Kingdom, a Max Fischer business card, and a limited edition 7-inch of bonus tracks. More artists will be announced in the run up to its spring 2014 release date.